CAC Hosts Catholic Baseball Camp in Northern Virginia! 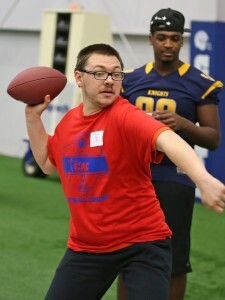 The camp is open to ages 8-16 and will run from 9:00 a.m. until 4:00 p.m. The cost for the camp is $50. 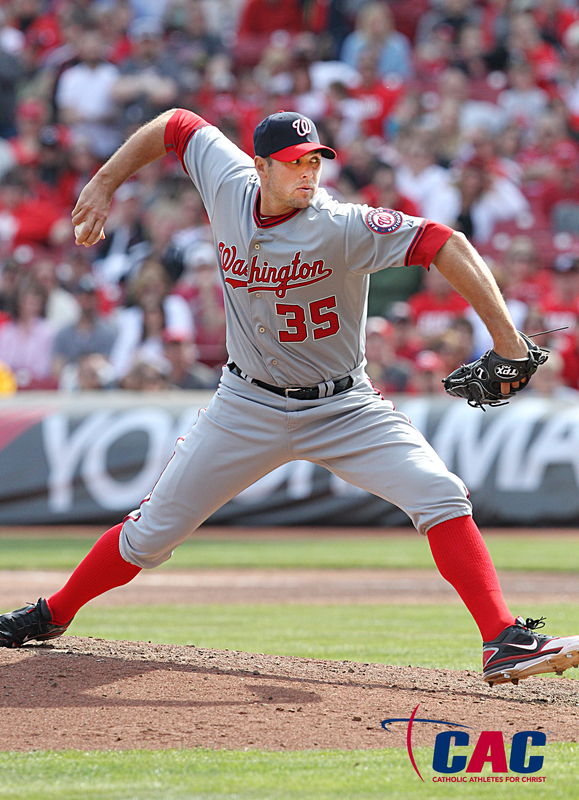 Washington Nationals pitcher Craig Stammen will appear, as well as former MLB players Bill Bordley (San Francisco Giants), Tom Carroll (Cincinnati Reds), Jim Hannan (Washington Senators), and Fred Valentine (Washington Senators). In addition, priests, deacons, and seminarians on the DC Padres baseball team will assist in the instruction. 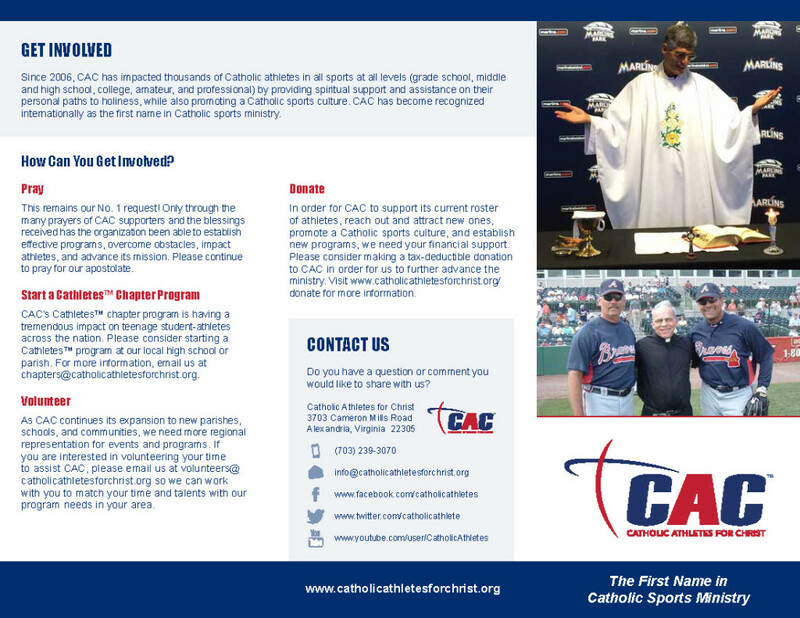 Catholic Athletes for Christ (CAC) recently released a new brochure to promote the organization, share its mission, and inform readers about its many programs and activities, including its Mass ministries for MLB and NFL, retreats, speakers bureau, service activities, and Cathletes™ chapter program. To download a copy of the new tri-fold brochure, click here. Washington Nationals Pitcher Craig Stammen spoke to over 200 cheering students and other attendees at Blessed Sacrament Catholic School in Alexandria, Va., on June 2. He spoke on the importance of his Catholic faith and encouraged everyone to always attend Mass and to receive the Sacraments as frequently as possible. Stammen, who is on the athletes advisory board of Catholic Athletes for Christ (CAC), which is an Arlington Diocese-based Catholic sports ministry, assists CAC in arranging in season Masses for players on the Washington Nationals. He is currently on the disabled list and is recovering from season-ending tendon surgery. 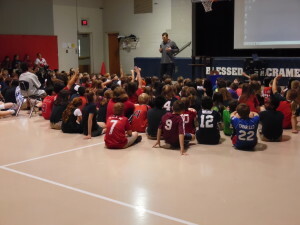 Stammen recounted for the students how his mom would tell him and siblings ever day before they left for school to put on the “Armor of God” (Ephesians 6:10-18) and how he prays daily to discern God’s will for his life. He told the gathering that he remains confident in God’s plan for his life and knows even the injury is part of that plan. Craig was introduced by CAC Chaplain Fr. Andrew Fisher and Blessed Sacrament Principal Valerie Garcia — both of whom are enthusiastic baseball fans of the Nationals. 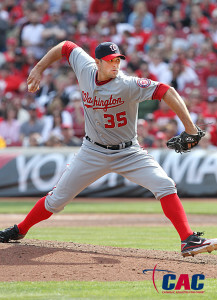 For more information about CAC and Craig Stammen, please visit www.catholicathletesforchrist.org. Washington Nationals pitcher Craig Stammen speaks about his Catholic faith to students from Blessed Sacrament Elementary School in Alexandria, Va.
Catholic Athletes for Christ (CAC) is pleased to announced that the first-ever stadium Mass at Marlins Park took place this afternoon for the Miami Marlins and Tampa Bay Rays. The historic Mass was celebrated by Fr. Frank Permuy in the Marlins press conference room. The Marlins are the 23rd Major League Baseball team that CAC has helped to establish a regular stadium Mass ministry for players, coaches, and team officials. CAC Leadership and many of its Catholic Priest Chaplains have been visiting MLB spring training camps in Arizona and Florida over the past few weeks to meet with players, coaches, and team officials in preparation for the 2015 regular season Mass ministry. 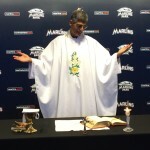 CAC sponsors Catholic Mass for 22 of the MLB’s 30 teams and additional teams are expected to be added during the 2015 season. To view photos from this year’s spring training visits, click here. 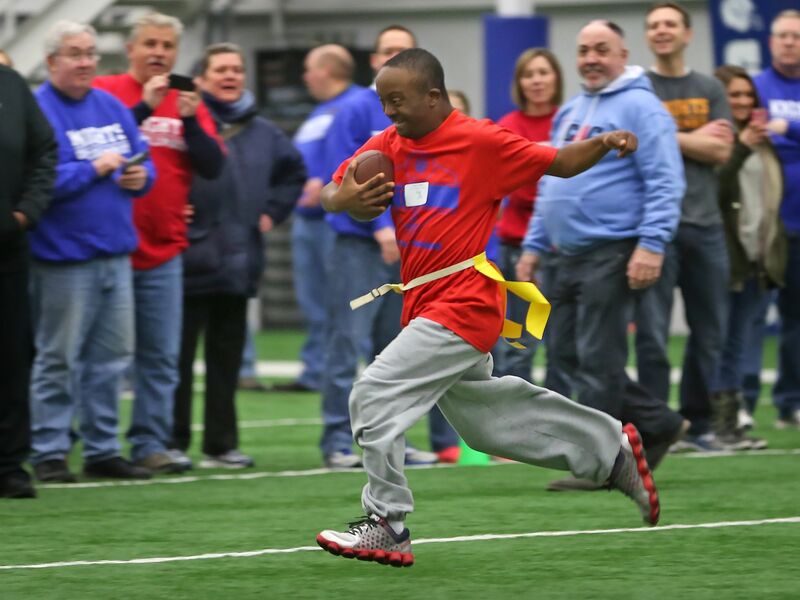 CAC proudly congratulates Mike Sweeney, Chairman of CAC’s Athlete Advisory Board, on his election yesterday to the Kansas City Royals Hall of Fame! For more news on Mike’s HOF election, click here. Watch video of Sweeney speaking with reporters at Spring Training yesterday about his election to the Royals’ Hall of Fame and his father. Please pray for his father, Mike Sweeney, Sr., as he battling esophageal cancer. CAC/Cathletes Apparel Store Now Open! Catholic Athletes for Christ is proud to announce this morning that it has partnered with Primo Designs of Springfield, Ill., to offer an apparel store for the general public and its Cathletes high school chapters. Initial items include hats, polo shirts, dry-fit shirts, t-shirts (short and long), sweatshirts, and hoodies in multiple colors and with either the CAC or Cathletes logo. The CAC apparel store is now open at www.cathletestore.org. A portion of all sales will go back to CAC to help expand its apostolate. More items will be added in the near future. 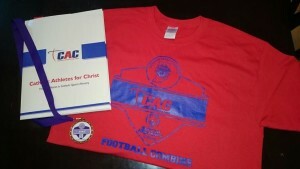 Cathletes chapter schools can also place special orders in school colors and with bible verses printed on the back. 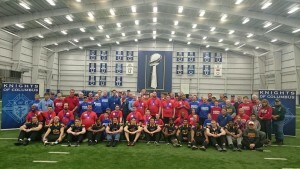 At this year’s NFL Combine in Indianapolis, Catholic Athletes for Christ (CAC) co-hosted a number of events to include NFL chaplains, coaches, and front office personnel. 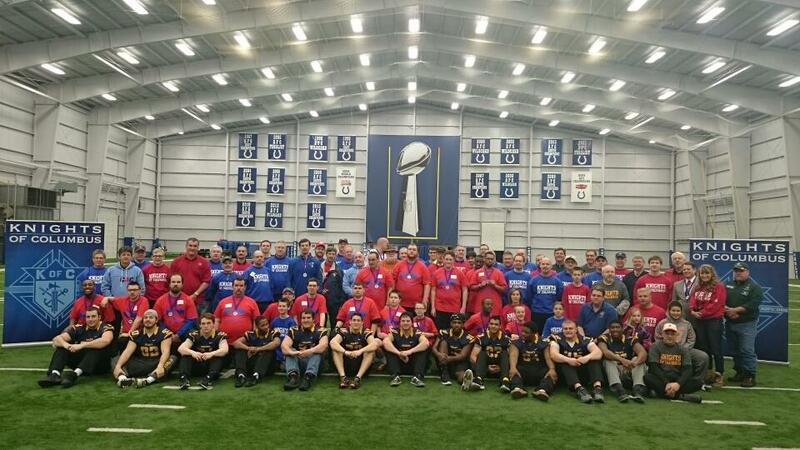 On Saturday, February 21, CAC, along with the Knights of Columbus and the Indiana Special Olympics, hosted its second annual Mini-Combine for nearly two dozen Special Olympians in the region. 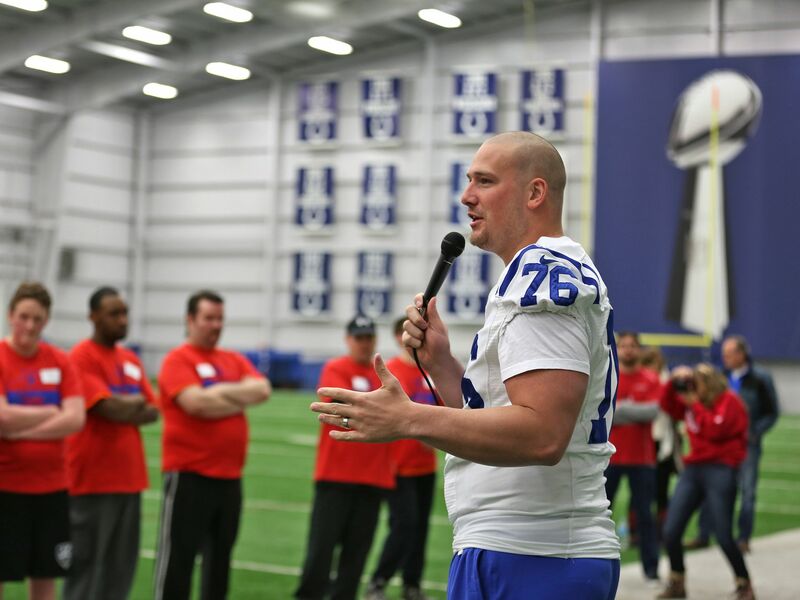 The event was held at the Indianapolis Colts’ training facility and included Colts Offensive Lineman Joe Reitz for former Colts Wide Receiver John Standeford. 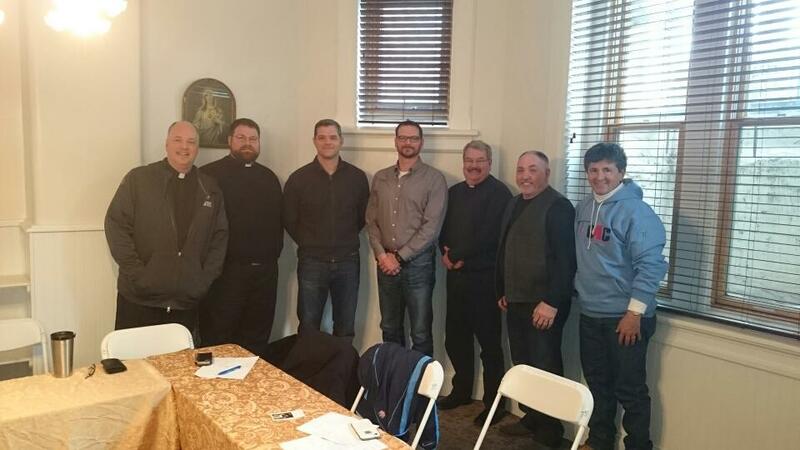 On Saturday afternoon, CAC co-hosted a Holy Mass celebrated by several of its NFL chaplains and post-Mass dinner. 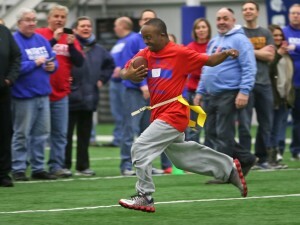 For more information on the Mini-Combine for the Special Olympics athletes, click here.